Best Iquitos Tour Experience! ... We spent 6 wonderful nights with Maniti Expeditions. The service was great, staff was friendly and professional, food was excellent, lodge was beautiful. We will be returning here in the future! Highly recommended! 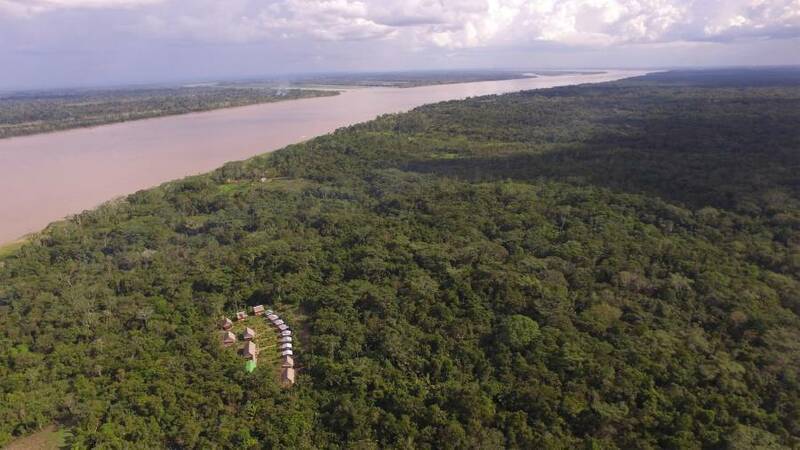 The Maniti Eco-Lodge in Iquitos, Peru was carefully designed to offer comfort to travelers yet preserve the environment and surrounding rainforest ambience. 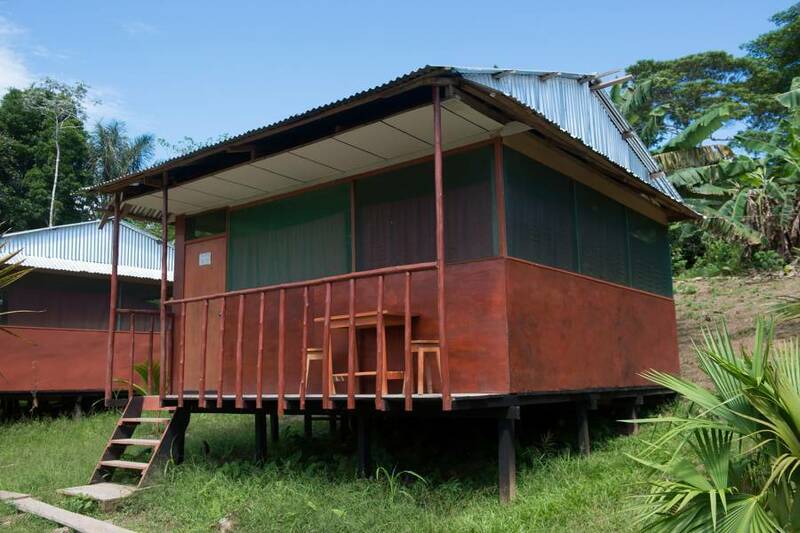 All of our cozy private bungalows are constructed entirely of secondary growth rainforest materials and nestle well concealed into the lush surroundings. Each bungalow is designed to be well ventilated and comfortable with amenities including high thatched roof, shaded terrace, private bathroom with flushing toilet & shower (no hot water – this is the Amazon, you will not want to shower with HOT water), locking doors & mosquito netting for each bed (although you will be surprised at what little need you will have for this item due to the lack of insects). 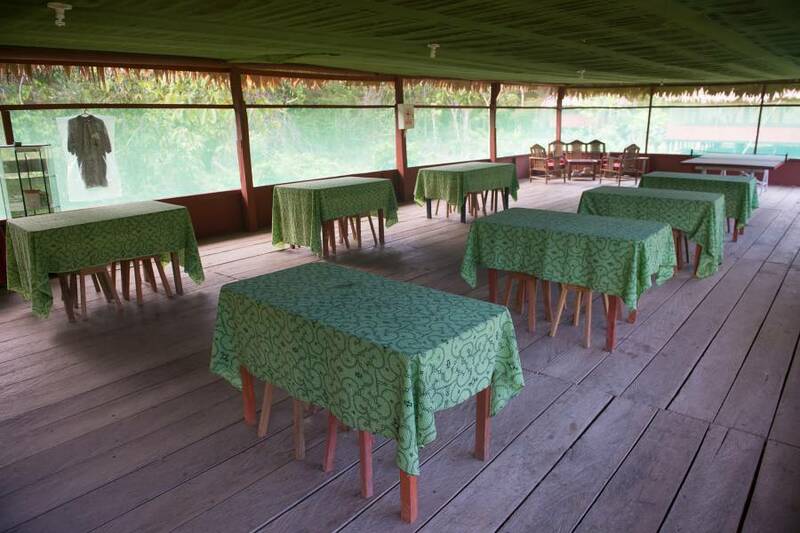 Our jungle lodge in Iquitos Peru is safe and very relaxing, it is just not a luxury retreat and you must be ready for a place that does not have the modern amenities (electricity available from 6 to 9pm only, for night reading & recharge your camera batteries, no internet, no a/c). We offer single, double, triple & quadruple rooms. All rooms have private bathroom with shower. Rooms and common areas are protected with netting to prevent insects from entering. All prices are all inclusive and includes airport transfers, private accommodations, all entrance fees to parks, all meals, local transportation, private multi-lingual guide. Private bungalows: Room for up to 4 persons. Has brand new very comfortable mattresses and private bathroom with shower. Our rooms are all completely surrounded by mosquito netting allowing you as near a bug-proof sleep you will find in the tropics. 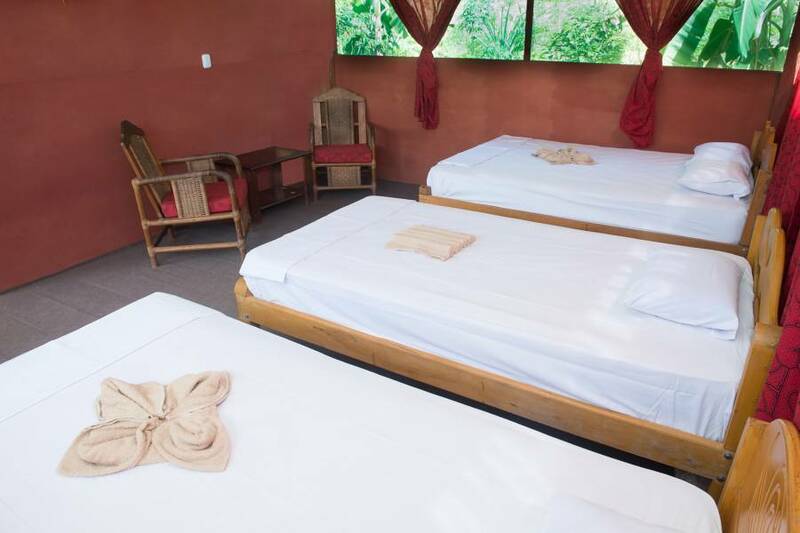 The Maniti Eco-Lodge uses earth-friendly resources, including full solar powering, composting, and flush toilets with a waste management system. Roofs and walkways are thatch covered, providing a natural cooling system from the tropical heat. All our furniture is hand-carved furniture that has been built by local artisans. 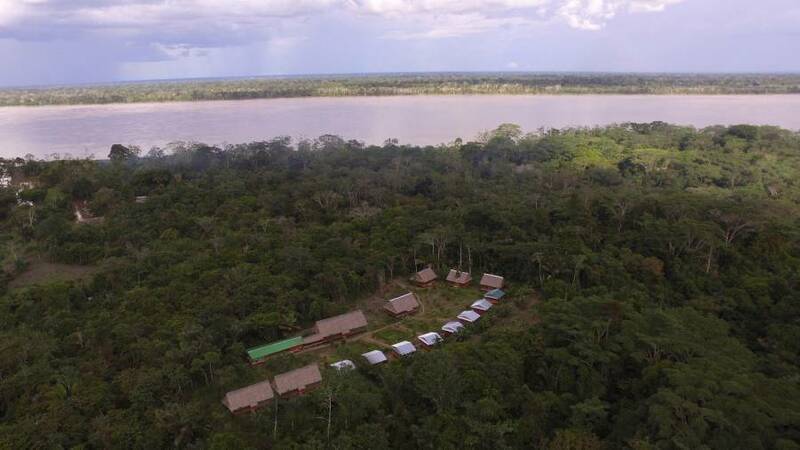 Maniti Eco-Lodge is located 70 km downriver from the city of Iquitos, on the Amazon River and surrounded by the Amazon rainforest which has the greatest biodiversity in the world. 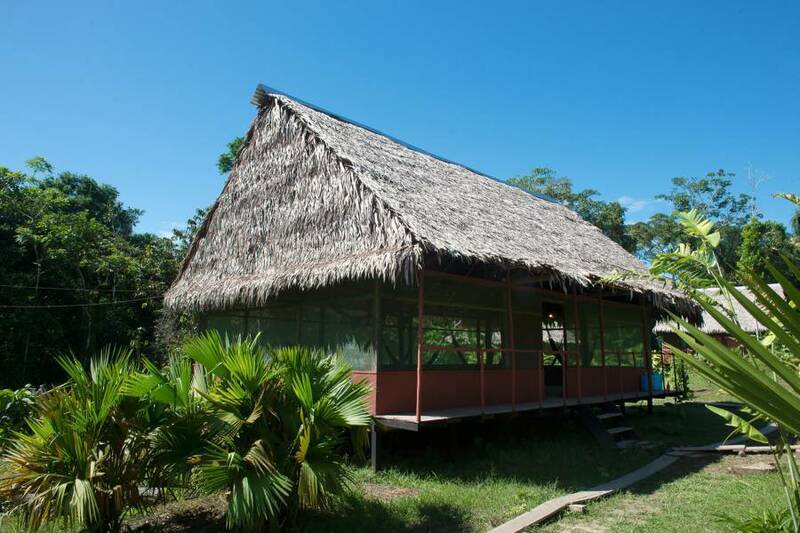 Located close to the small village of La Libertad. The easiest way to arrive is to contact us and we will come and pick you up. Clients are picked up at the Iquitos airport or hotel and provided private ground transport to the port of Nanay. Leaving the port we will go on a boat journey down the Amazon river of about 2 hours until we arrive to the Maniti Camp Lodge.